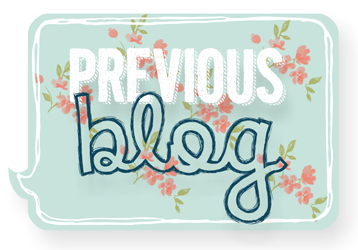 As always, if you get lost along the way, or just want to check out some of our past hops, click on the banner at the top of this post and it will take you to the Stamp Review Crew blog with all of our past hops intact in the archives. I suppose you would like to see what I made for the hop, huh :) OK, so I thought I had this stamp set. I was SURE of it. And I am a procrastinator.... so when I was ready to start my projects on Thursday (before going to work, mind you) I realized that I do not, in fact, own this set. But, since I make all of the banners and buttons for Stamp Review Crew hops, I do have the digital version :) Check out my hybrid projects! I printed a few fun animals on some Whisper White cardstock, then started playing around. 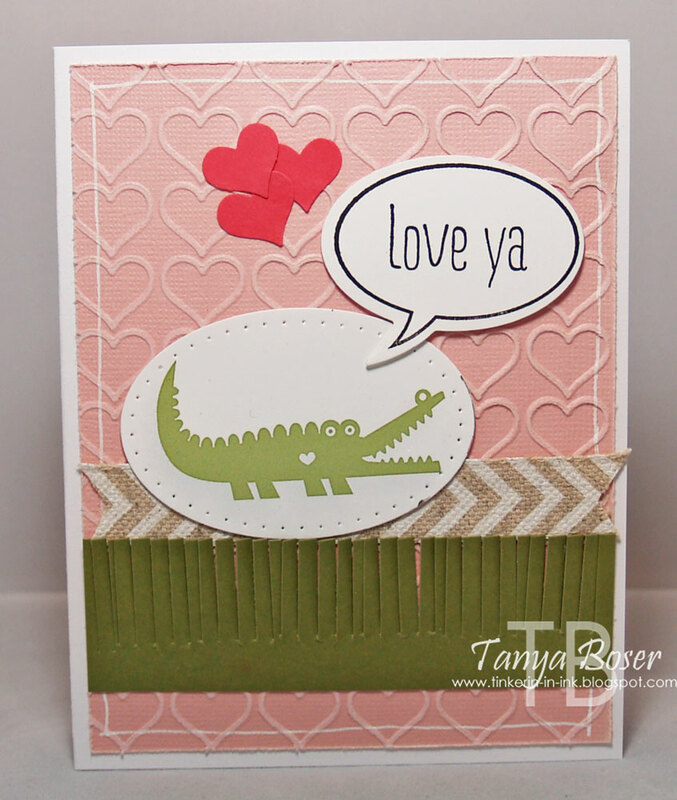 With alligators mouth open and the little heart cutout on the image, I thought it would be fun to have him talking! I threw in some of the Core'dinations paper that I have been hoarding forever (it is still on the Clearance Rack, so go get yourself some! ), embossed with the Happy Hearts embossing folder, sanded the paper to expose the slightly lighter core, and distressed the edges.I pulled out the Fringe scissors that I have not used nearly enough because I needed to ground that little fella with something, and grass sounded good :) The sentiment is from Just Sayin'. I got some help with the layout from the Friday Mashup Challenge. Fruit Loops or Juicy Fruit anyone?! That is what this toucan with his colorful beak reminds me of :) I kinda cheated and used the toucan image I colored on MDS for the banner and buttons, lol! More Core'dinations with the Pumpkin Pie panel, embossed and sanded. 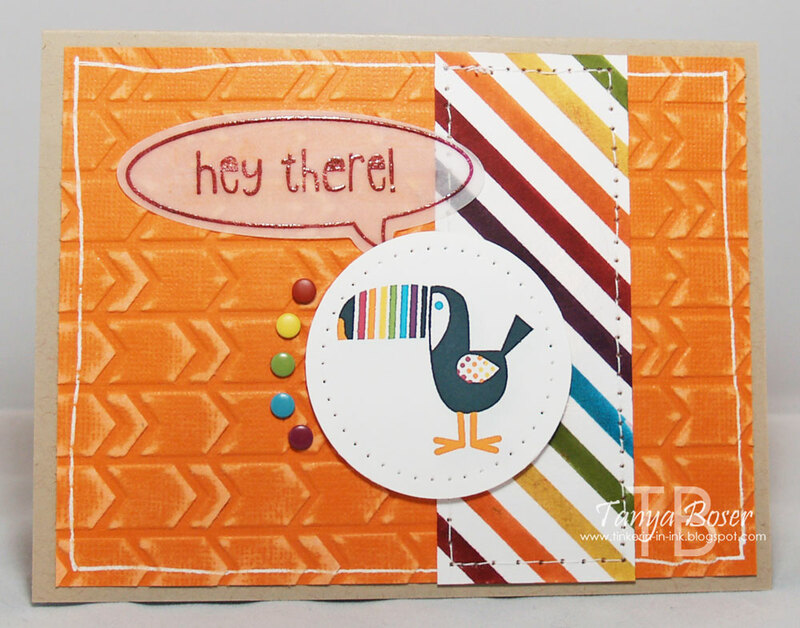 The striped paper is the Irresistibly Yours specialty paper that I colored with some markers. (Cherry Cobbler, Pumpkin Pie, Daffodil Delight, Old Olive, Tempting Turquoise, and Blackberry Bliss). 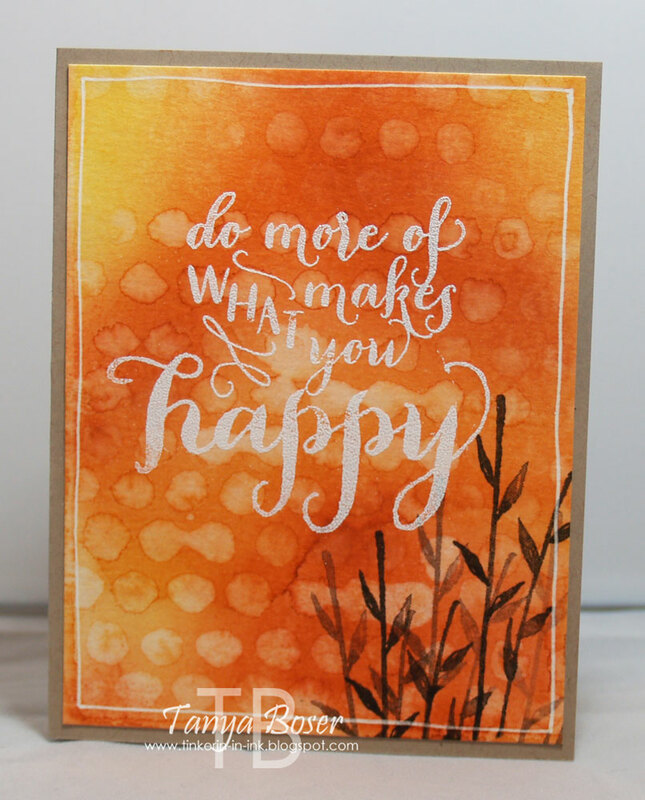 I stamped the sentiment bubble in Blackberry Bliss on the vellum, then heat embossed with Clear embossing powder. SLICK, I tell you! Add a rainbow of Candy Dots and voila! Now it's time to head on over to the next stop, Rochelle Blok. She is sure to amaze you! 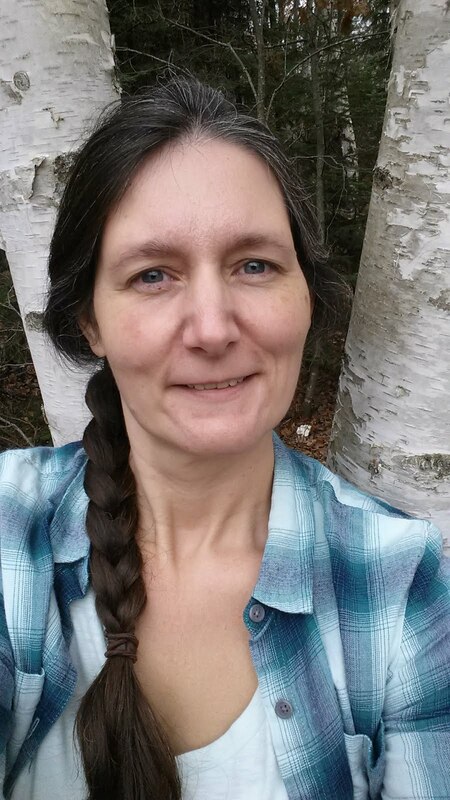 I am holding my first sessions of papercrafting classes at the Bemidji Hobby Lobby in a little over a week! 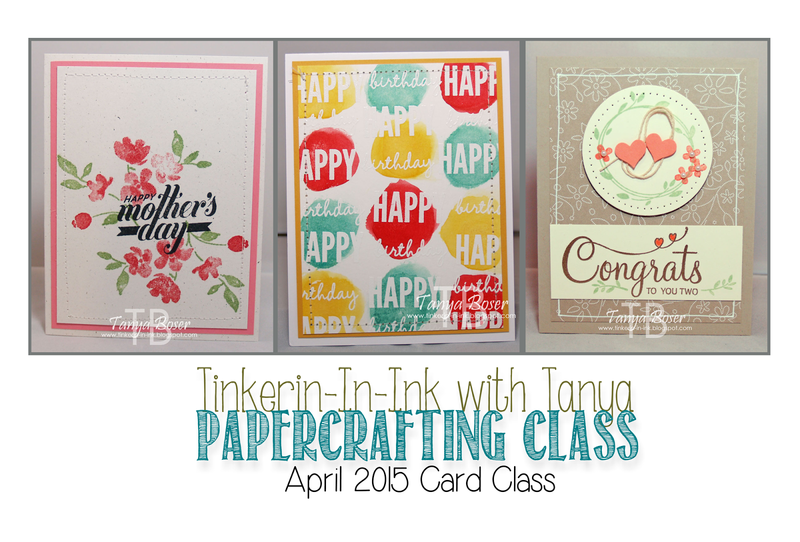 At this class, we will create three cards in about 2 hours time. All of the supplies for these projects, including envelopes, are included in the cost of the class. Please bring a basic crafting kit with you (not mandatory, but will decrease wait time for tools) see my website for details. Class size is limited so reserve your spot now! To reserve your spot, click on the Class tab to purchase your spot using PayPal. You do not need a PayPal account to make a purchase, it allows you to use your credit/debit card. 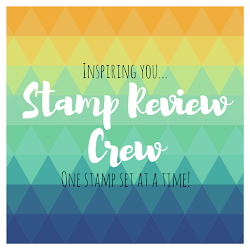 Welcome to the first April 2015 edition of the Stamp Review Crew! 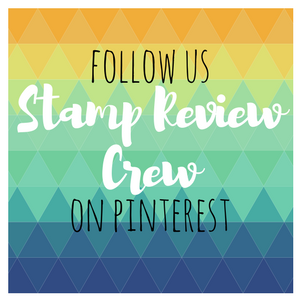 If this is the first time you have visited us, an extra special welcome to you :) We are a group of Stampin' Up! demonstrators that holds a blog hop every first and third Monday of the month. 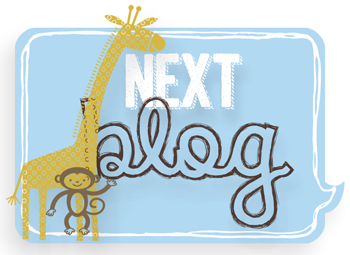 Each time, we select a single stamp set and all of the blog hop participants create projects with that set. Sounds awesome, right?! 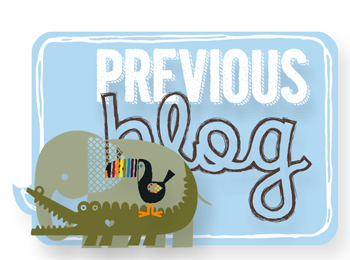 If you every get lost, or just want to check out past hops, click on the banner at the top of this post and it will take you to the official Stamp Review Crew blog with master list of this hop, and the archived master lists for all of our hops. 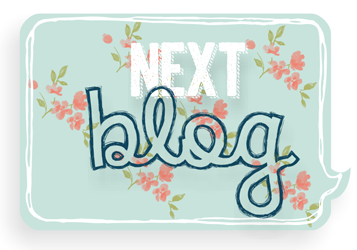 If you are following along in order, then you just came from Adriana Benitez's blog. Inspiring, right?! My first project is a bit on the predictable side, but pretty none the less. 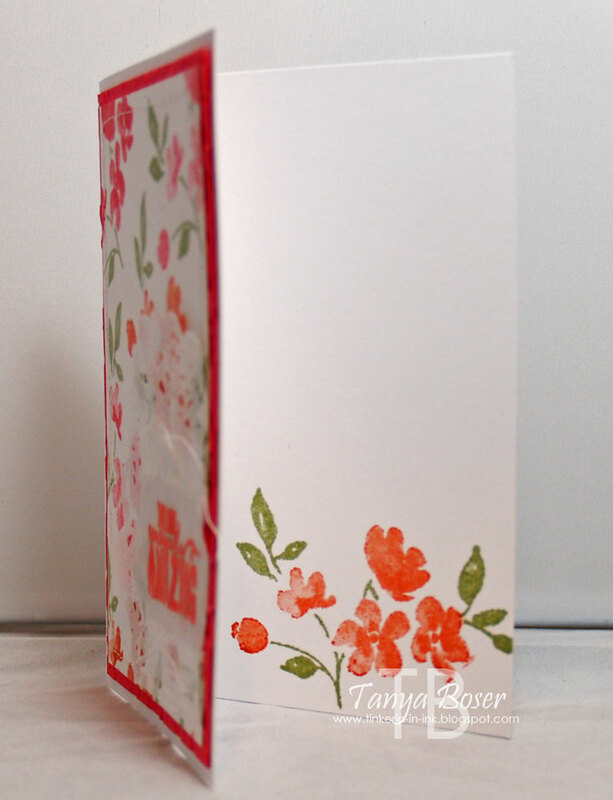 I love that you can create your own patterned paper with such ease using this set! Just three colors of ink and away we go! 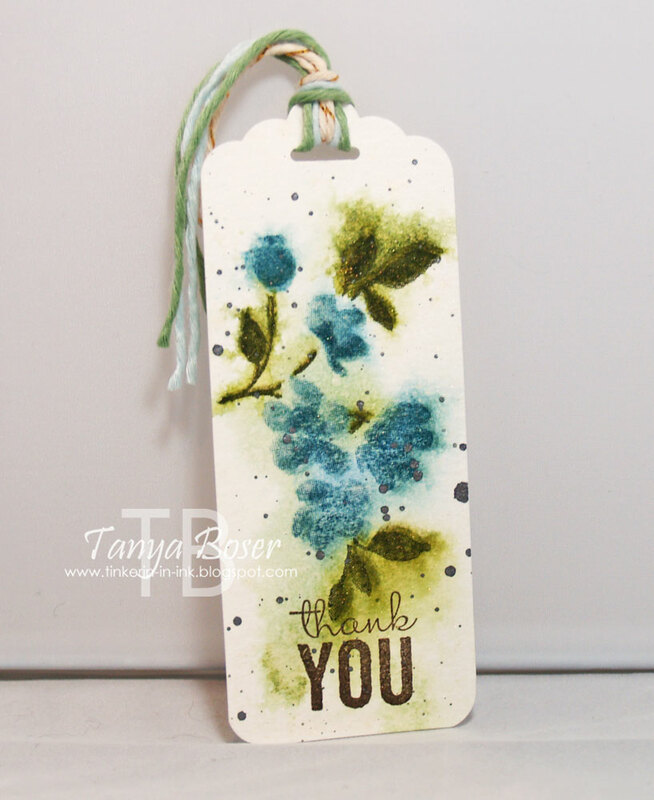 I did do some stamping off to achieve the softer colors on some of the flowers. Next up is this fun watercolor card. The dots in the background are the line of dots image from the stamp set. 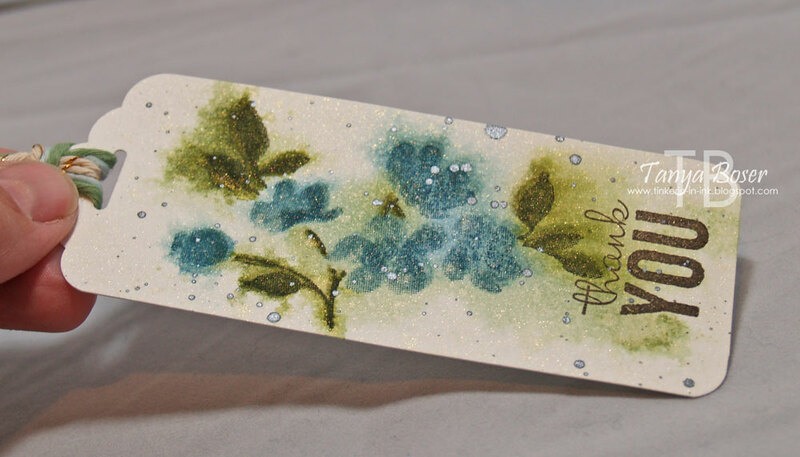 I just sponged the colors on the panel of watercolor paper, spritzed with water to blend, dried with the heat tool (cuz I am not patient), then spritzed my stamp with water and stamped. The water pushed some of the color away and created this lovely pattern! 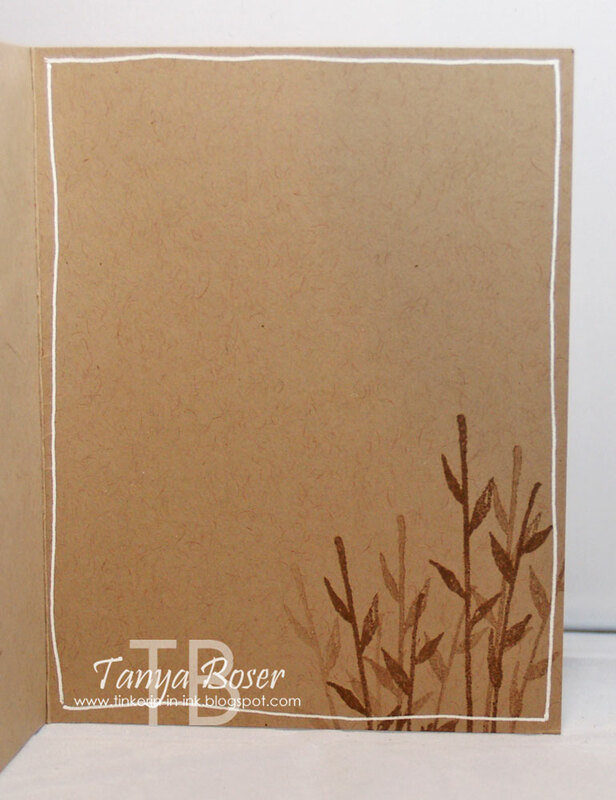 Inside has more of the stems stamped like grass, weeds, or reeds depending on how you want to imagine it :) I think this makes a lovely masculine card. Makes me think of sunsets or sunrises. I tried to catch the shimmer in this picture. It is so pretty in real life! And it sounds like a lot of steps, but it goes really fast. I also used the Scalloped Tag Topper punch and the corner rounder punch and some twine to finish it off.